Start planning your winter vacation by choosing from Sunwing’s wide selection of hotels and resorts located in some of the world’s most stunning beachfront destinations. Sunwing is excited to announce a handful of beautiful brand new resorts opening this winter to our extensive product line-up. Check out what’s new with Sunwing and book your winter vacation today! CHECK BACK EACH WEEK FOR THE LATEST NEWS! Opening in the spring of 2019 on the coveted white-sand shores of Bavaro Beach, this brand-new resort is a premium destination for a luxurious all inclusive escape in Punta Cana. A highlight of this dazzling property is The Boulevard™, an exclusive leisure and recreational area that boasts a spectacular casino, an expansive amphitheatre, a nightclub, a bowling alley, state-of-the-art fitness facilities and much more. This resort features spacious suites complete with contemporary décor and a terrace, with options for unparalleled ocean views and swim-up suites. Vacationers can taste an array of delicious cuisines at five à la carte restaurants, serving Asian, Caribbean, Italian, Mediterranean and more. This resort truly has something for everyone; adults can enjoy six trendy bars including three beach bars and a sophisticated adults only section with an exclusive pool. Families can take advantage of complimentary water sports including sailing and windsurfing and a fun kids-only club and waterpark! 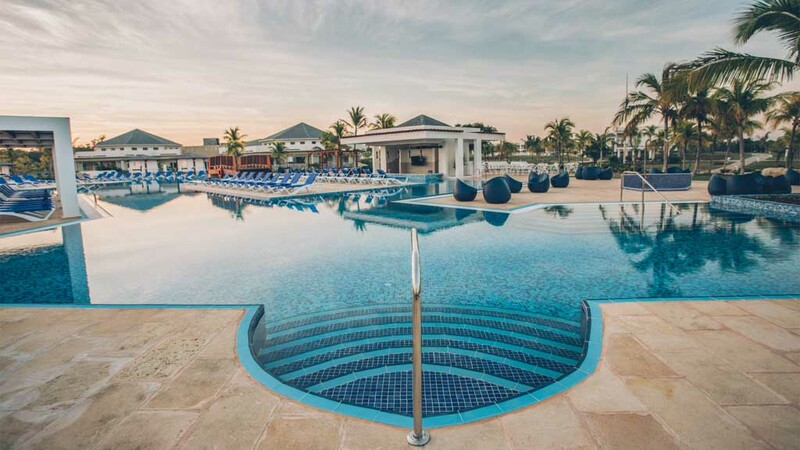 Vacationers can be among the first to experience an upscale tropical escape at Adults Only Club by Lopesan Costa Bavaro, a brand-new resort set on the sparkling shores of Bavaro Beach. Opening in the summer of 2019, this exquisite property features adults only areas where travellers can lounge in a sparkling pool lined by lavish Bali beds, sunbathe on a serene white-sand beach or sip tropical cocktails at a lively beach club bar. Boasting an array of impressive amenities, vacationers can roll the dice at the resort’s on-site casino or dance the night away at a trendy nightclub. 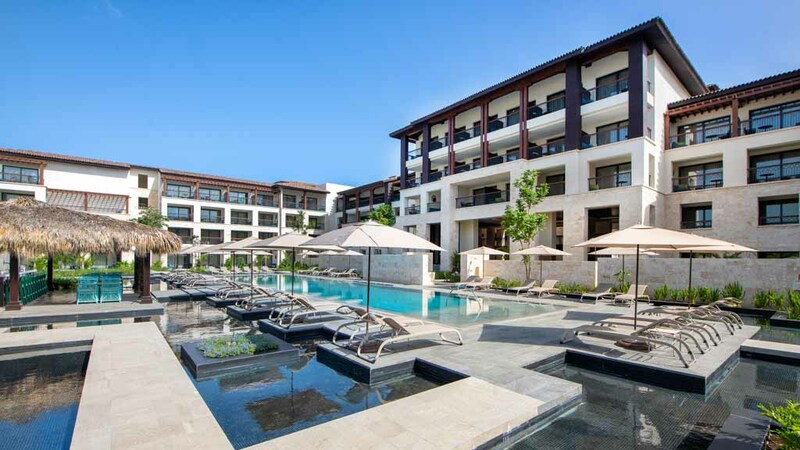 Plus, guests benefit from unlimited access to the stylish facilities at Lopesan Costa Bavaro Resort, Spa and Casino. 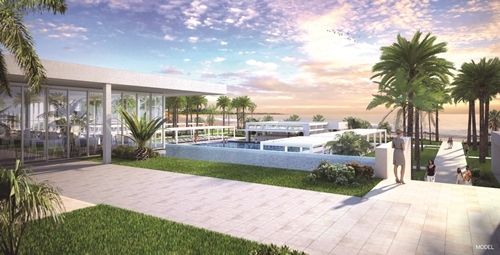 Be one of the first to visit one of Cayo Santa Maria’s top new properties: Paradisus Los Cayos. 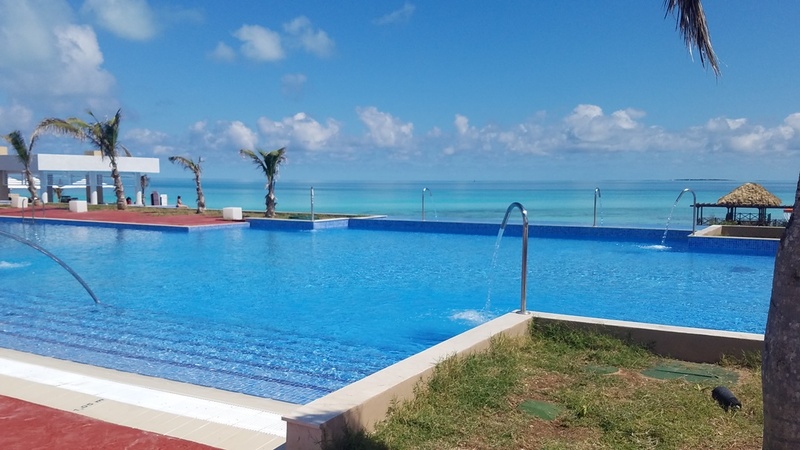 Nestled on a pristine stretch of the white-sand beaches the area is known for, this resort offers all the amenities and facilities to make your Cuban vacation unforgettable. Lounge by one of the resort’s sparkling pools or try out a range of complimentary activities like windsurfing and catamaran rides. Those seeking an added level of luxury can upgrade to Royal Service or Family Concierge room categories for additional amenities and access to exclusive resort areas. Royalton Suites Cancun Resort and Spa***** NOW OPEN! Book your next vacation to one of Cancun’s hottest new properties: Royalton Suites Cancun Resort and Spa! This centrally-located resort is just steps from the hustle and bustle of Cancun’s vibrant downtown area, making it easy for you to explore the lively shopping, nightlife and restaurants. The luxury property is also home to Level 18 Rooftop Cabana Lounge, an adults only oasis, the first of its kind for Royalton Luxury Resorts. Upgrade to Diamond Club™ for amazing value and an enhanced level of service, with unlimited complimentary access to Level 18 Rooftop Cabana Lounge included plus other lavish extras like exclusive check-in areas, butler service, upgraded room service and so much more. Located on the picturesque shores of Deep Bay Beach, the brand-new Royalton Antigua Resort and Spa offers All in Luxury® on the beautiful island of Antigua. This all inclusive oasis boasts opulent facilities and elegant suites – some overlooking a pristine private beach. Vacationers can indulge in rejuvenating treatments at the tranquil Renova Spa, swim in sparkling pools or taste gourmet cuisine at an array of delicious dining options including Grazie, the resort’s oceanfront Italian restaurant. Book today to secure your spot in paradise and elevate your experience with a complimentary upgrade from a Luxury Junior Suite to a Luxury Junior Suite Harbour View. St. Maarten is back and better than ever! Book your next tropical getaway to this island paradise at the newly-renovated Sonesta Maho Beach Resort Casino and Spa. 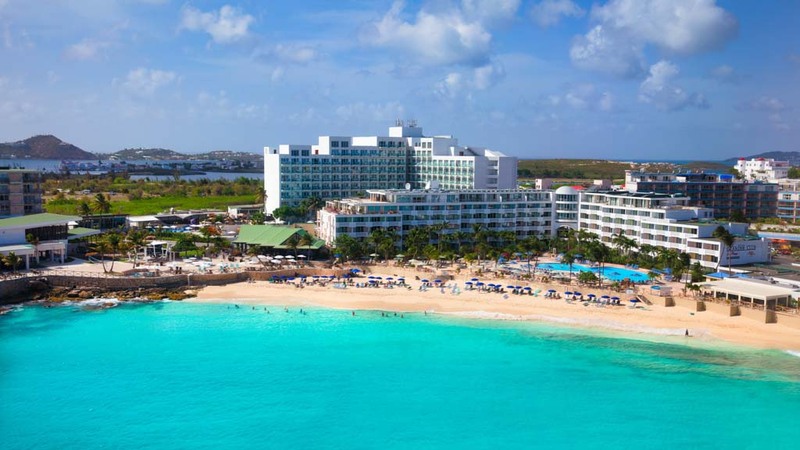 This Sunwing favourite is the perfect resort for both family vacations and romantic getaways, with activities and amenities that travellers of all ages and interests will enjoy. Soak up the sun by the sprawling pool with a swim-up bar or head to world-famous Maho Beach just steps from the resort. After a magical day in paradise, you can spend the evening testing your luck at the on-site Casino Royale before retiring to your luxurious room. 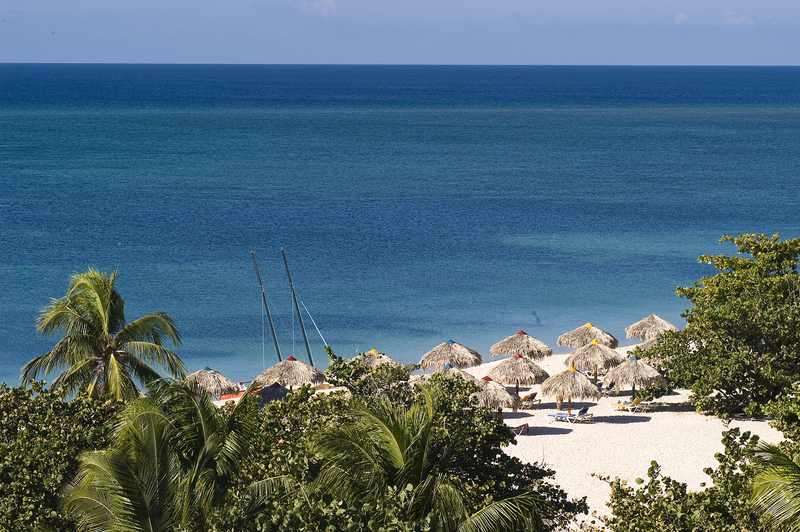 Book your next Cuban getaway at the brand-new Iberostar Holguin. Located on a pristine stretch of beach, this all inclusive resort offers amenities and activities for travellers of all ages and interests. Younger guests will have a blast at the complimentary kids club and splash park, while adults can upgrade to the adults only Star Prestige section. Guests of all ages can soak up the sun by one of four sprawling pools or try out the wide range of resort-offered activities, from dance lessons to archery and catamaran rides. Set along secluded white-sand shores, the brand-new Angsana Cayo Santa Maria is an all inclusive, adults only oasis. Brightly decorated to capture the colours of the Caribbean Sea, guestrooms are complete with a private balcony or terrace – many overlooking the ocean. This resort features two sparkling pools lined with comfortable cabanas along with an incredible beachfront location where guests can explore exceptional snorkeling spots and enjoy complimentary water sports including sailing, windsurfing and paddle boarding. In the evening, guests can sip tropical cocktails and enjoy live music at the Jazz Bar. This brand-new resort is the perfect place for a romantic escape or a getaway with friends in paradise. From small luxury resorts on coveted shores to charming accommodations in unique settings, our wide range of boutique hotels are the perfect choice for an intimate, upscale getaway. Nestled on the exotic shores of Holbox Island, Mystique Blue Boutique Suites boasts spectacular suites – some with unparalleled ocean views and rooftop balconies. Adults can enjoy an elevated au naturel escape at Grand Lido Negril Au Naturel All Suite Resort or experience unparalleled accommodations in paradise at Palafitos Overwater Bungalows in Riviera Maya, named one of the 20 best overwater bungalows in the world. Grand Memories Punta Cana ***** NOW OPEN! Vacation Better this winter and book your next sunny getaway at the newly-opened Grand Memories Punta Cana. Just a short walk from the pristine shores of Bavaro Beach, this resort offers a refined ambiance and convenient amenities that are ideal for relaxing getaways. Soak up the sun by the resort’s sophisticated pool area with comfortable sun loungers and Bali beds or kick the fun up a notch by visiting the on-site water park that’s home to a wave pool, seven slides and more. Riu Palace Baja California ***** NOW OPEN! Riu Palace Baja California is a brand-new adults only resort set on the coveted shores of Los Cabos. Featuring an innovative architectural design centered around the sea, vacationers can enjoy breathtaking panoramic coastal views from the majority of guestrooms, bars, restaurants and common areas. Along with an enviable beachfront location, the resort offers impressive facilities such as expansive suites, decadent dining options and four sparkling pools. Plus, guests receive exclusive access to the luxurious facilities of Riu Palace Cabo San Lucas and Riu Santa Fe. Riu Palace Costa Mujeres ***** NOW OPEN! Families can experience Cancun in style at Riu Palace Costa Mujeres, an all inclusive paradise set along the coveted shores of Playa Mujeres. This upscale resort features five sprawling pools and a variety of elegant accommodation options including swim up suites. Guests also receive unlimited access to the facilities at Riu Dunamar including the resort’s thrilling Splash Water World. Travelling is more fun when you share the experience with friends and family. Why not consider a group getaway? Ten or more adults travelling together can receive special prices, added values, reduced deposits and more! 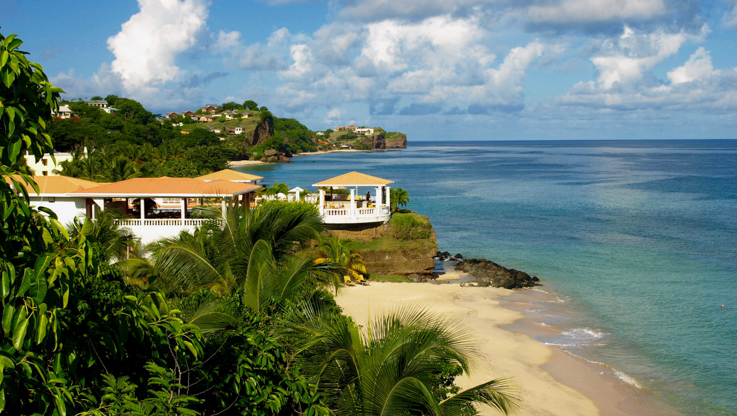 Vacation Better this winter and book your next tropical escape to the exotic shores of Grenada! As one of Sunwing’s exclusive new destinations this winter, the island of Grenada is home to breathtaking waterfalls, lush rainforests and pristine beaches including world-famous Grand Anse Beach. Vacationers can choose from a number of resorts including Starfish Grenada, a family-friendly resort that provides the ideal setting for your vacation to Grenada. Travelling is more fun when you share the experience with friends and family. Why not consider a group getaway? Ten or more adults travelling together can receive special prices, added values, reduced deposits and more! 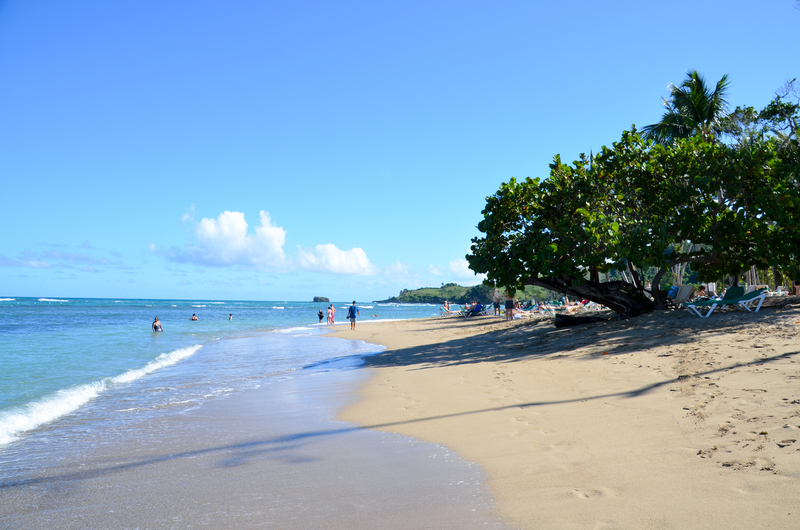 Vacation Better and visit one of Sunwing’s hottest new destinations this winter: Tobago! Untouched beaches, lush rainforests and sparkling waters await in this tropical paradise. Sunwing makes it easier than ever to visit Tobago with weekly direct flights from Toronto starting December 20th, 2018. Vacationers can choose from a wide range of resorts across the island including Starfish Tobago Resort, just one of the many exciting resorts opening this winter. This family-friendly resort offers comfortable accommodations, modern amenities and a sprawling stretch of beachfront. 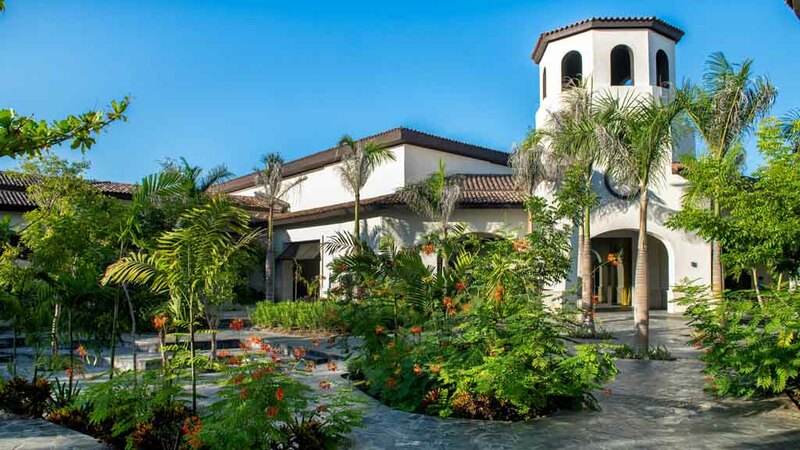 An intimate and luxurious resort community, Playa Mujeres welcomes you with idyllic white-sand beaches, boutique-style properties and well-manicured golf courses. Playa Mujeres is Cancun’s newest beach and its pristine, untouched shores make it an ideal destination for a relaxing getaway full of sun and sand. You can be among the first to experience this trendy new destination along with a number of new properties that will elevate your vacation experience even further. 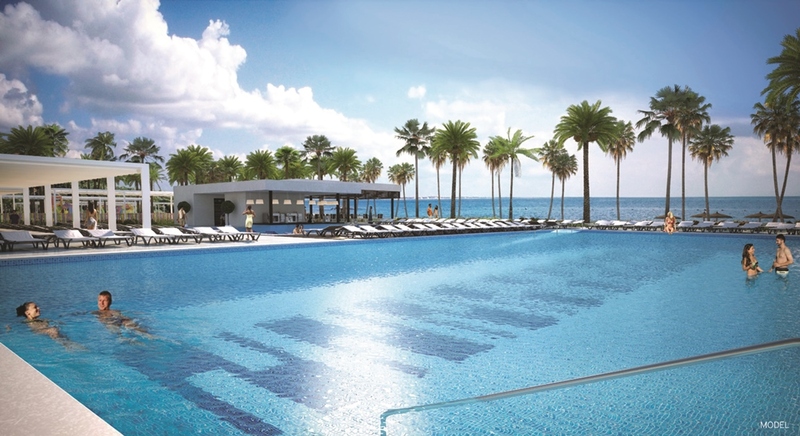 Those who enjoy being active will appreciate the state-of-the-art Rafa Nadal Tennis Centre, first of its kind in Mexico, while staying at the new TRS Coral hotel, while families can enjoy the newly-opened Splash Water World at Riu Dunamar. 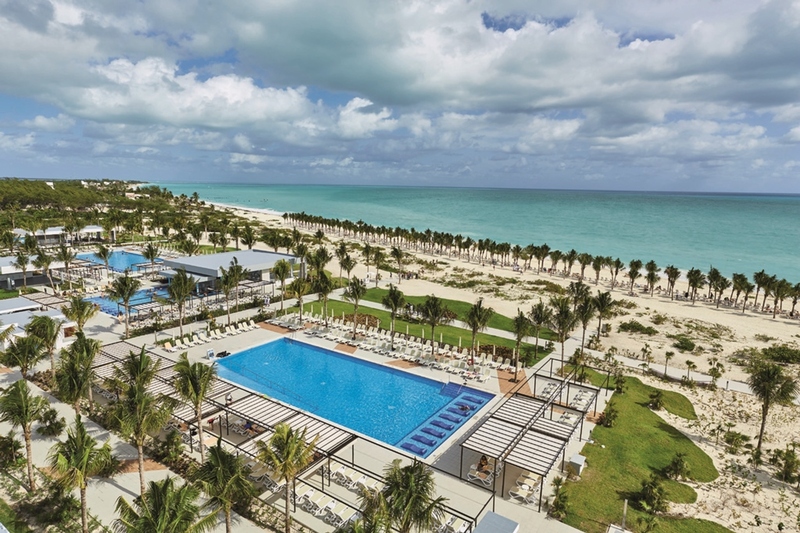 Take a dip in one of the five sparkling pools at the brand new Riu Palace Costa Mujeres, or you can enjoy the pristine beach and colourful coral reef at the new and luxurious Grand Palladium Costa Mujeres. Escape the frigid temperatures this winter with a stay in Daytona Beach! This is a popular destination for all types of travellers. Racing fans can visit the famous Daytona International Speedway to see some of the best drivers in the world compete. Those seeking some peace and quiet can enjoy a leisurely stroll along the boardwalk and pier or the renowned Daytona Beach—a 37km stretch of sand that includes some stretches vacationers can drive on. In addition, there are plenty of options for shopping to take advantage of and avid golfers can head to one of the many top-rated courses in the area for some tee-off time. You can easily head to this favourite vacation spot in the Sunshine State with our direct, non-stop flights from Toronto that operate twice a week! When you book now, you can also take advantage of limited-time offers such as savings of $160 (per couple) on vacation packages, or you can even buy one air seat and get the second free! Relax and unwind in the peaceful Caribbean retreat of Cienfuegos in Cuba, known for its beautiful bay and neoclassical architecture. Affectionately dubbed the ‘Pearl of the South’, the area is recognized as a UNESCO urban historic centre and is popular for sailing, diving and snorkelling. You can experience the best of this tropical oasis at the all inclusive Memories Trinidad del Mar Cienfuegos, a charming property where kids can enjoy endless play at the mini club and the whole family can splash around in one of the two pools. Those looking to relax can unwind with a soak in the Jacuzzi or sip on their favourite tropical drink poolside or at the beach. Plus, you can easily head to Cienfuegos with convenient weekly flights from Toronto. Travelling is also more fun when you share the experience with friends and family. Why not consider a group getaway? Ten or more adults travelling together can receive special prices, added values, reduced deposits and more! Vacation like a Star™ at the brand-new Planet Hollywood Beach Resort Costa Rica, opening in the fall of 2018! 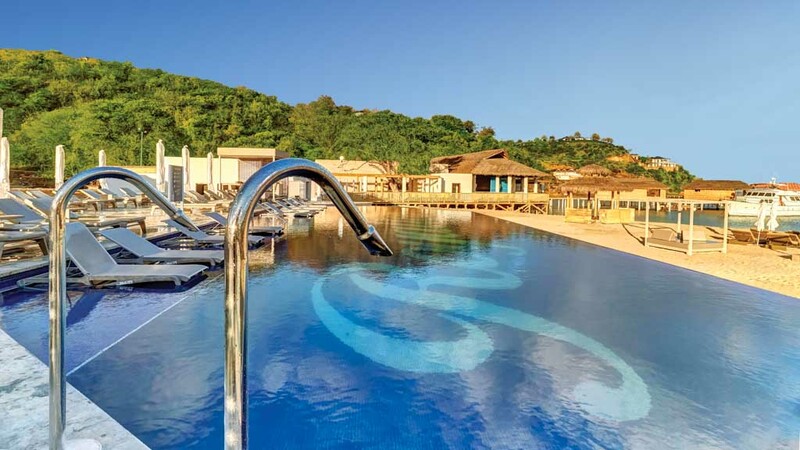 This all new luxury resort overlooking the Gulf of Papagayo offers all the amenities and facilities of a VIP-worthy getaway including the upgraded Star Class™ category with your very own rock star rider. Planet Hollywood Resorts is excited to have partnered with Eminence Organic spa products allowing vacationers the star treatment! The award-winning Eminence Organic Skin Care, a premier manufacturer of a comprehensive skin care line made with organic and vegan products, is a favorite skincare line among celebrities. Guests will look and feel red-carpet-ready under the care of professional staff with luxurious body treatments, facials, massages or dip in the hydrotherapy pool. At Planet Hollywood Beach Resort Costa Rica, kids shine as bright as a star at the Starlets Kids Club™, where every child’s imagination is brought to life! Your children will learn how to perform, imagine and create through fun and educational experiences, giving them the opportunity to voice their creativity, learn to work as a team and create something amazing! 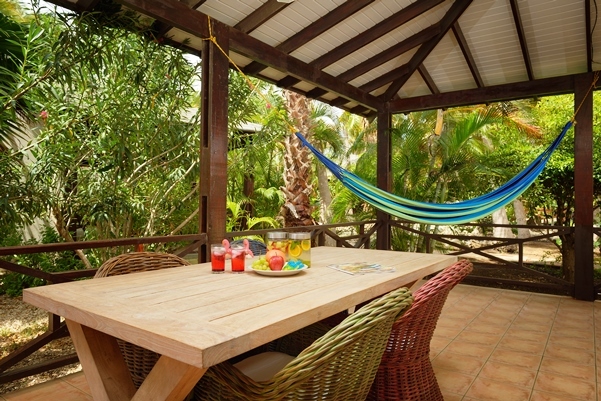 Located right on the ocean, Captain Don’s Habitat in Bonaire provides the perfect base for your next diving getaway. With a PADI dive centre located right on site and a staff of fully-trained divers, this resort offers three daily departures to over 70 dive sites across the island. Guests can choose from a variety of diving packages; including unlimited shore diving packages and boat diving packages with tanks, weights and weight belts included. Explore some of the island’s famous dive sites including the Hesper shipwreck, the Coopers Barge shipwreck and more. Dive packages are available at select resorts across Bonaire. Set sail on board the luxurious and brand new cruise ship, Norwegian Bliss. Custom built for the spectacular, this ship offers endless activities and modern amenities for vacationers to enjoy while they cruise the high seas. Guests can be one of the first to sail this ship around the Caribbean in November, with unique itineraries departing from PortMiami around lush islands including the British Virgin Islands and the Bahamas. When cruisers aren’t exploring the beautiful ports of call, there’s plenty to do on board as well. Adrenaline-seekers can zip around the largest racetrack at sea or test their wits on the unique water slide where the floor drops out from under them, and then shoots around the side of the ship! After a day spent in paradise, guests can stroll along the oceanfront promenade and take in spectacular sunset views from the ship’s revolutionary Observation Lounge. 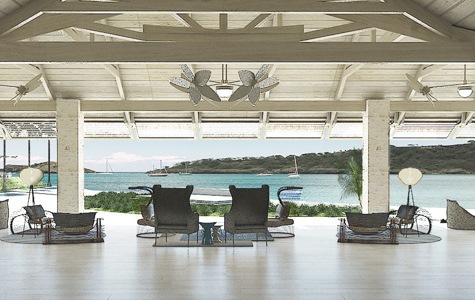 Experience a new way to vacation in luxury at Royalton Antigua Resort and Spa, opening early this winter. You’ll enjoy some of the best views around in Antigua, as this resort is nestled on a private beach and surrounded by hills; if you stroll to the top you will enjoy amazing scenery of Fort Barrington and a ship submerged in the crystal-clear waters. Ideal for both family and romantic getaways, this all inclusive property will welcome you indulgent gourmet dining—where you can even enjoy ocean views from the Italian restaurant Grazie—as well as modern comforts such as free Wi-Fi throughout the resort, numerous activities available in the kids and teens club, two refreshing pools and plenty of options to stay on top of your fitness regime with the award-winning Royalton Fit™ program. Finally, for the ultimate in relaxation, you can take advantage of numerous luxurious treatments at the opulent spa on site. 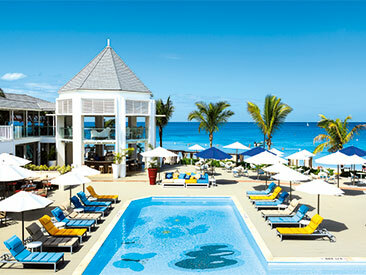 Experience a top family getaway at a top-rated family resort such as Sensatori Azul Beach Resort Jamaica. 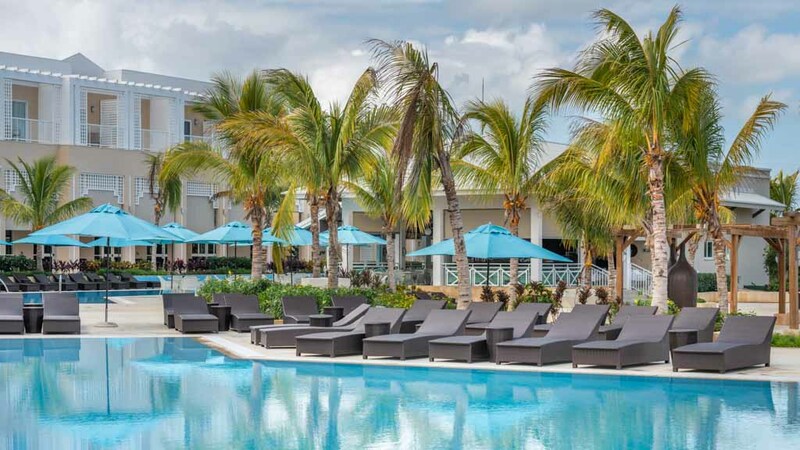 Part of the Signature Collection by Sunwing, this resort is set on the famous Seven Mile Beach and offers exclusive amenities and sections for families and adults to ensure everyone makes the most of their tropical getaway. Take a dip in any of the sparkling pools, visit the exciting Splash Park or participate in any of the several family-friendly activities such as kids cooking classes. Dining options are aplenty as part of the resort’s Gourmet Inclusive® experience, featuring sumptuous dining options, 24-hour room service and more. The resort is home to a brand-new adults only section, where guests who upgrade to the Premium Couples room category can look forward to an exclusive pool and beach area, concierge service, pool and beach butler service and more. Easily head to this top-rated resort in the ‘Home of All Right’ with any of Sunwing’s direct flights from 15 gateways across Canada. 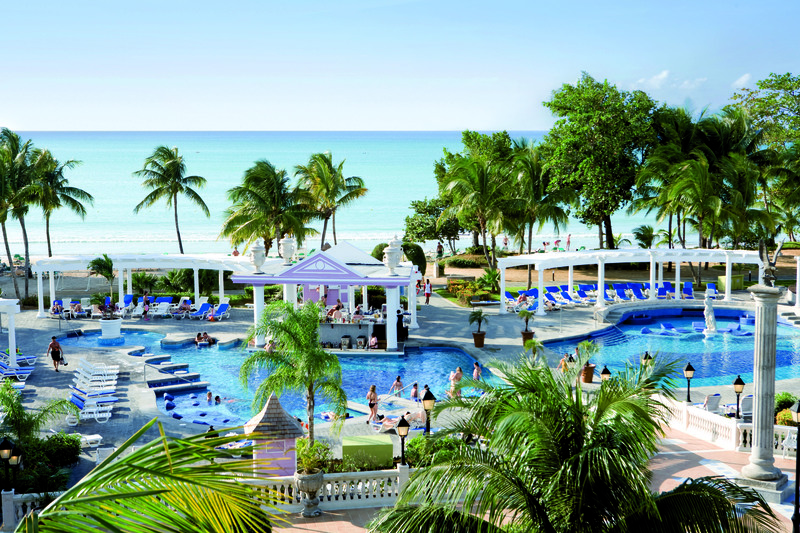 Soak up the warm tropical sun while relaxing on Negril’s beautiful stretch of sand at Riu Palace Tropical Bay. A favourite family resort part of the Signature Collection by Sunwing, this all inclusive property will welcome you with a redesigned pool area that features three sparkling pools (one of which has a swim-up bar), a wide range of sports for the whole family including kayaking, water volleyball, windsurfing and snorkelling, as well as a new RiuLand Kids Club that will entertain the kids all day with an exciting playground, tons of activities and an enlarged pool. You can also savour authentic Jamaica cuisine at the Jerk Chicken Hut onsite, in addition to other delicious meal options ranging from Italian, to Caribbean, Japanese, Fusion and more between the resort’s five restaurants. Plus, you can always unwind with a soothing cup of coffee at the new Capuchino café. 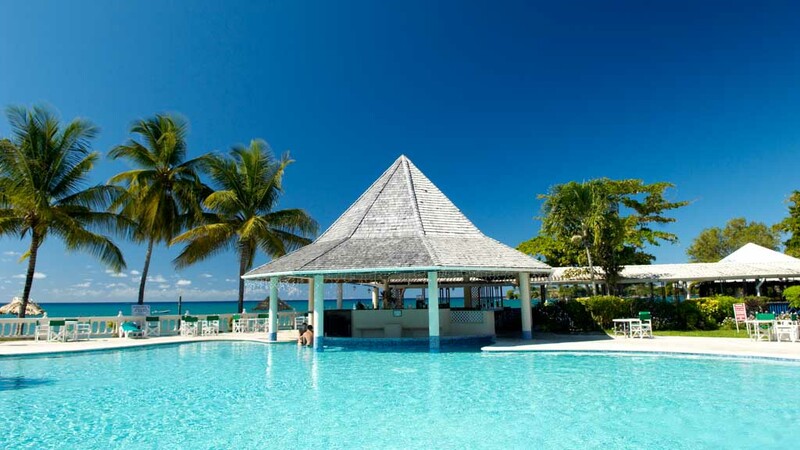 Experience the ‘Home of All Right’ with ease as Sunwing offers direct flights to Jamaica from 15 gateways across Canada. 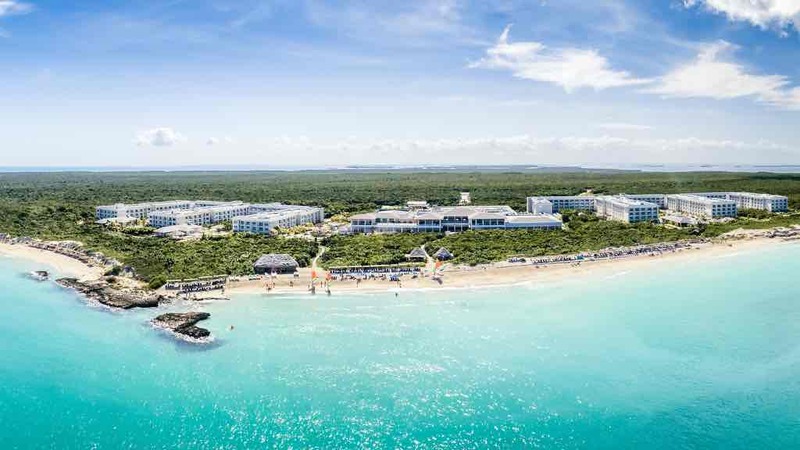 Travellers eager to soak up the sun on one of Cuba’s top beaches can enjoy pristine white sands and gorgeous ocean views at the brand-new Grand Muthu Cayo Guillermo. 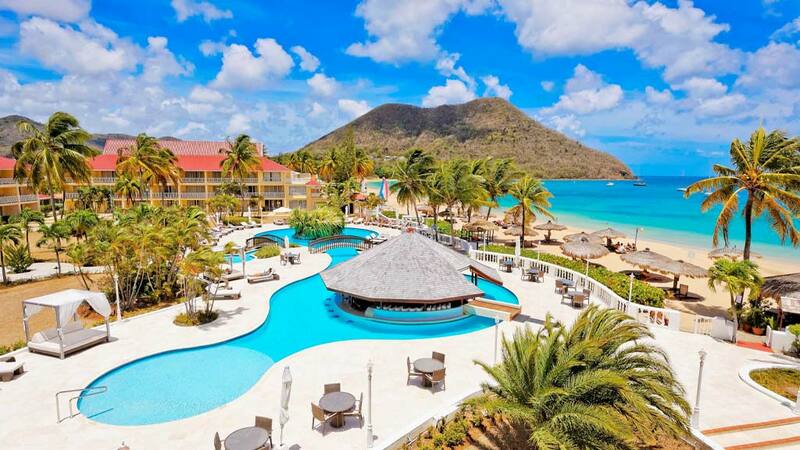 This new all inclusive resort welcomes guests with top-notch service, spacious accommodations and a range of exciting activities including tennis, dance classes, theme parties, snorkelling, and more. Enjoy a refreshing dip in one of the two sparkling pools on site, while little ones can splash around in the dedicated kids’ pool. Plus, the on-site kids club offers plenty of activities to keep your tiny tots busy. In addition to a variety of dining options including Italian, Indian and Seafood, many of the restaurants also offer kid-friendly meals and special diet menus for those with dietary restrictions. What’s more, you can take your travel budget even further with perks such as weekly Sunwing beach BBQs, Wi-Fi cards, discounted massage treatments and much more. Easily enjoy all this resort and Cayo Coco have to offer as Sunwing offers regular flights from 16 gateways across Canada, including daily service from Toronto. Offered exclusively through Sunwing for the first time this year, PlayaBachata Resort in Puerto Plata, Dominican Republic, welcomes guests with a beautiful beachfront setting, a lively activities program, family-friendly amenities, four sparkling swimming pools to enjoy and much more. Relax and unwind on the beach or poolside with your favourite tropical drink in hand while taking in the picturesque surroundings of lush mountains and tropical garden—or you can admire similar views while sipping on your morning coffee from your room’s balcony or terrace. The action-packed kids club will keep little ones entertained throughout the day, giving you some downtime to enjoy a romantic dinner, take advantage of water sports like windsurfing, kayaking or snorkelling, or possibly treat yourself to a soothing massage at the luxurious on-site spa. You can easily enjoy this new and enticing beach getaway as Sunwing offers regular flights to Puerto Plata from 11 gateways across Canada. 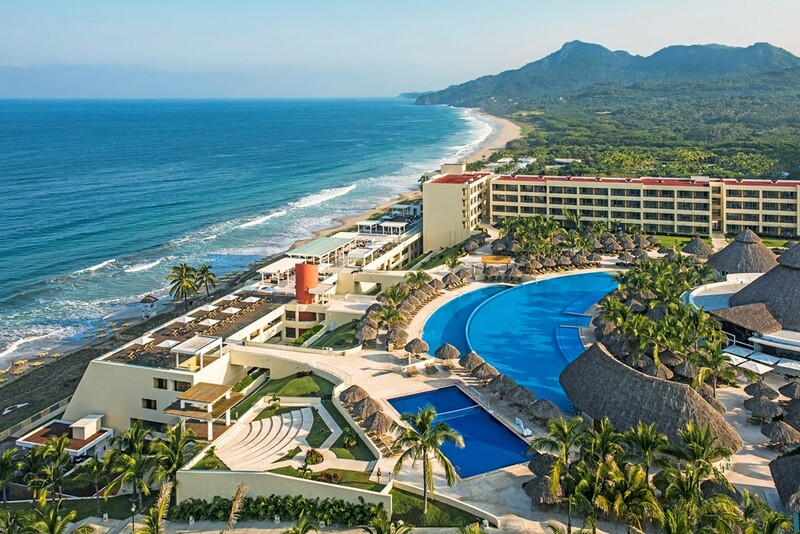 Offered for the first time this year through Sunwing, Iberostar Playa Mita welcomes guests with pristine white-sand beaches and relaxing all inclusive accommodations in Riviera Nayarit, Mexico. With its close location to Sayulita Beach’s prime surfing conditions, it’s an ideal getaway for travellers seeking to enjoy plenty of water sports. At the resort, you can take advantage of many included activities such as snorkelling, kayaking and windsurfing. Avid golfers can also choose from various packages to enjoy as much tee-off time as they like at the 18-hole Championship golf course designed by Greg Norman. When you’re ready to relax, you can unwind at one of the three pools, hang out in your spacious room and enjoy 24-hour room service or treat yourself to a massage treatment at the on-site spa. Culinary options are equally plentiful with four specialty restaurants serving up dishes ranging from steak, to Mexican, Japanese and much more. Easily enjoy all this resort has to offer as Sunwing offers direct flights from 11 cities across the country, including new services from Quebec City and Victoria. Mazatlán is known as the 'Pearl of the Pacific' for its natural beauty and serene landscape, and many hotels in the area reflect this tropical oasis' beautiful aesthetics. 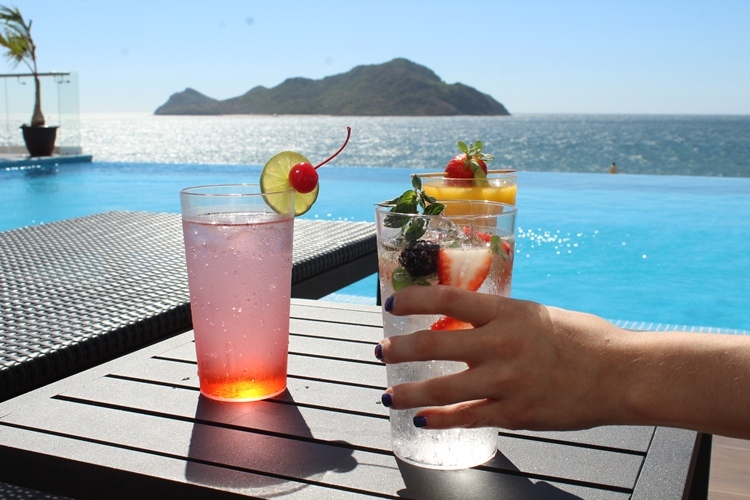 A favourite property that features some of the best views of Pacific Mexico's stunning sunsets is The Local Hotels Mazatlan. In fact, you can admire those views while relaxing in one of the two infinity pools that overlook ocean. 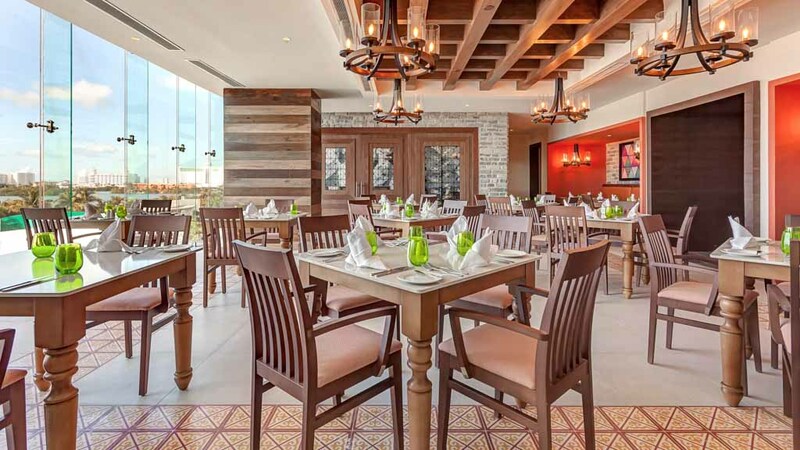 In addition, this resort combines the best of Mexican hospitality with modern amenities and comforts as you'll enjoy the convenience of 24-hour room service and delicious cuisine from around the globe at either of the two restaurants on site. Plus, the resort is set right in Mazatlan's Golden Zone so fun attractions like restaurants, shopping and nightlife are never far away. Easily fly to this favourite vacation destination from eight gateways across Canada, including a new direct service from Montreal this winter. 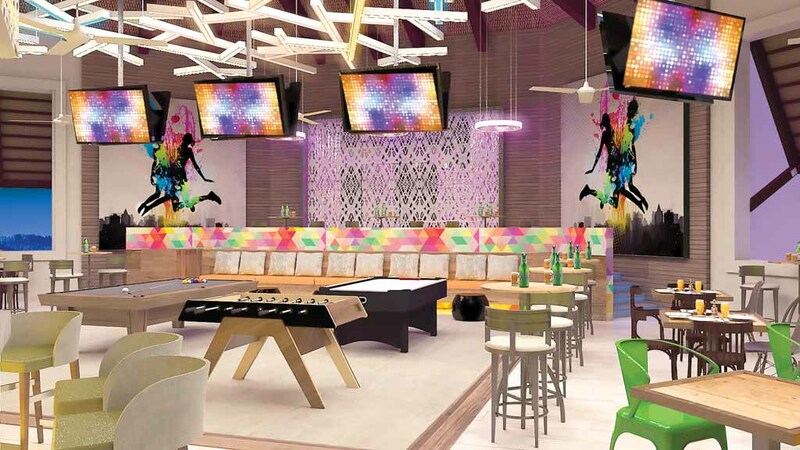 Experience the perfect blend of relaxation and entertainment at Grand Memories Punta Cana, opening later this fall. Vacation in style at this modern all inclusive resort that features elegant and spacious accommodations, along with a host of premium amenities and inclusions. Never miss your favourite game at the sports bar that features the most popular tournaments, and appease your inner kid with lots of modern and retro games at the arcade. 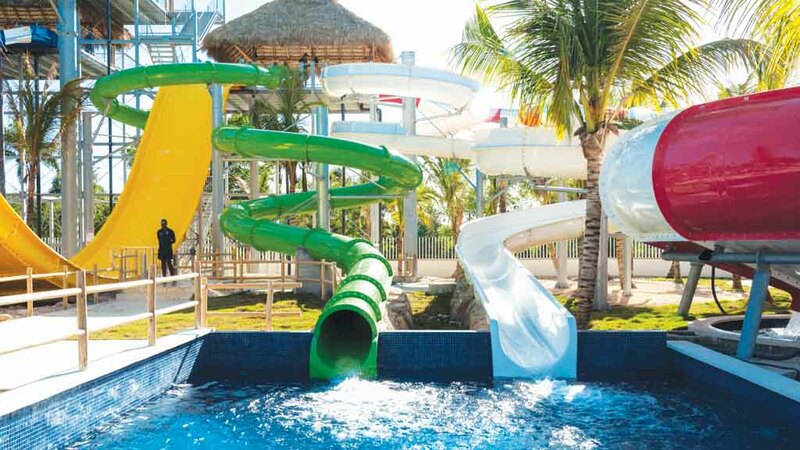 Plus, you can enjoy endless splash-worthy fun with unlimited access to the largest water park in the Caribbean that features numerous thrilling slides for everyone from adrenaline junkies to little ones who like to splash around. For those days of relaxation, curl up with a good book on a sun lounger on the beach, enjoy a cold tropical drink by the pool or simply float around in one of the two sparkling adults only pools. What’s more, easily access all the incredible features this resort has to offer as we’ve increased our services to Punta Cana; with twice weekly flights from Winnipeg and Calgary, and new service from Thunder Bay, Mont-Joli and Sept-Îles Airport.